The Cosmos Biomedical CPD Scheme has been specifically designed to assist Biomedical Scientists, Trainees and Consultants working in Pathology with their continuing professional development in a convenient and enjoyable way. With our education scheme, you can earn IBMS accredited CPD points online and in your own time. Join Our Online CPD Scheme Today! The Cosmos Biomedical CPD Scheme for MES is an online, web based programme that allows you to earn IBMS accredited Continuing Proffessional Development (CPD) points through completing educational activities, such as Question Cards, Crosswords and Multiple Option Tests. The IBMS accredited Scheme covers bacteriology, virology, mycology and parasitology within the area of Microbiology and is entirely Web-Based. Comprehensive Web-text focusing on a specific organism from one of these four categories is uploaded periodically to our CPD Menu, including helpful and interesting diagrams and pictures, categorised sub headings covering a wide range of relevant and up to date material. The web text is peer-reviewed, referenced and designed to be especially relevant to persons working in pathology. Integrated into the web-text is a 'question card' focused on the specific organism offering 4-6 questions. These questions are designed to be probing, relevant and interesting. All answers can be found within the web-text and references. The questions are designed to be answered in one word, short sentences or small paragraphs. There is currently a large library of full web-texts and question cards. These are updated regularly with the latest information and new cards are released periodically. 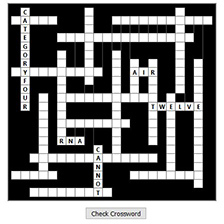 In addition to the question cards we supply related crosswords and online 'Multiple Option' tests. The crosswords are designed to be both enjoyable and useful as a learning tool and compliment the web-text and question cards. The 'Multiple Option' tests are completed entirely online and can be attempted as many times as you like with no time limit. Once all questions are answered correctly, you will automatically be sent a certificate for 3 CPD points within 7 days. Marks will be emailed to you along with an IBMS accredited CPD certificate for 3 CPD points for each individual activity completed (card, crossword or multiple-option activity). There is no deadline for submissions and the activities may be submitted in any sequence allowing you to take the learning at your own pace. Registrants will be informed of incorrect answers which may be reviewed and resubmitted at any time. If you require assistance with any of the activities, please feel free to contact us and we will be happy to provide helpful tips and suggestions to assist you in their completion. The MES scheme is authorised by the CPD department of the IBMS. In line with the IBMS policy, individuals should register all points awarded directly to the IBMS themselves by specifying the organiser's code which will be printed on CPD certificates. The scheme is now also being registered for e-learning to give it additional academic and professional status. In addition, a virtual microbiology lab to test basic laboratory skills that will be marked automatically on-line is in development. Both credits and CPD points can be awarded and counted towards University degree modules in Biological Science subjects. The MES scheme strictly adheres to HPC guidelines and policy for CPD but follows the IBMS incentive of CPD points for activities. Memebers of The Royal College of Pathologists can claim relevant study points against the MES Scheme. The Microbiology Education Series, (MES) scheme is available to everyone working in routine Microbiology NHS labs whether IBMS members or not after paying the initial registration fee. Cosmos Biomedical emphasize that this CPD scheme is not a replacement for recognised biomedical degree courses but is intended to be a sound adjunct to other educational courses in Microbiology, bolstering cross discipline knowledge and confidence in the subject. 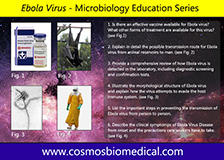 The Microbiology Education Series is available in the UK and worldwide. All prices in British Pound Stirling. Although designed as a web-based scheme, MES Folders and Postcard Question cards may be purchased as additional accessories if desired, prices upon request. Join the CPD Scheme and earn CPD points today!